The Academy has closed down! Table Tennis Academy Townsville was closed down at a general meeting on the 11th of February 2014. Contact Terry Dahl 0431099274 or 47723486 if you need more information. - Yes, we are rocking! Lance won our U15 junior championships! Table Tennis Science video on Youtube - click here! - and our goal is first of all to have an offer for young people who want to do table tennis as a sport and not just a hobby. 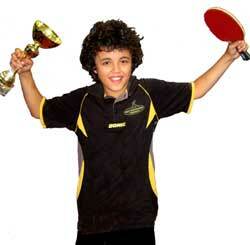 Table tennis is the largest competitive sport in the world, and is also played in the Olympics and Commonwealth Games. On top level it is a highly demanding sport with extremely fit players, but it is also a sport that young people without previous sporting experience can enjoy. Table tennis helps develop co-ordination and agility, and since it is an indoor sports you are always out of the tropical sun! To have fun is important, but team-bonding and to learn how to be responsible is an important part of the sport for our youngest players! We are offering beginners courses for kids that follow the school terms and we also have weekly competitions in the form of Junior Fixtures. There are tournaments for all age groups in Queensland and else in Australia troughout the year, and of course Queensland and Australian Championships for seniors and juniors! Terry: Office/home: 61- 7-47723486, mobile: 61-0431099274 Email: ttatownsville@gmail.com or terje@sydhav.no. 51 Warburton Street, North Ward, Townsville, QLD 4810. And yes; we are on Facebook! 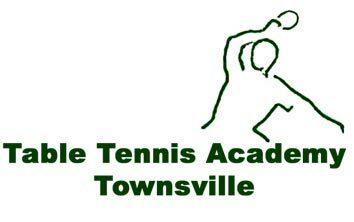 Table Tennis Academy Townsville (Inc.) is incorporated and we are also affiliated with TTQ/TTA (Table Tennis Queensland/Table Tennis Australia).